At the airport, duty free shopping is supposed to save you some money. If the added attraction of chance to win a glittering Harley Davidson is thrown in, the Duty Free shopping can become profitable. 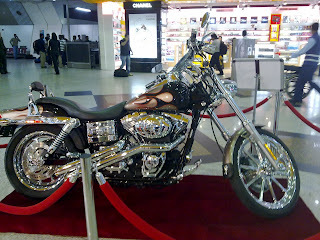 Photo taken at Kuwait Airport Duty Free shopping area.